Praetor Technologies is based in Tampa, Florida and founded from over two decades of military, leadership, planning, and intelligence experience. Our leadership has headquarters staff, component, unit level, and deployed experience in US Central Command (USCENTCOM), US Special Operations Command (USSOCOM), as well as European and Pacific Theaters. 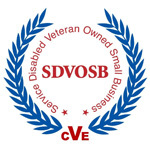 Praetor is a VA e-certified Service Disabled Veteran Owned Small Business (SDVOSB) and listed in SAM (formerly CCR), ORCA, and SBA.